Ubisoft have detailed the thinking behind the big changes coming to Rainbow Six Siege in the upcoming Operation Para Bellum season, which includes buffs for Echo’s Yokai drones. As part of their pre-season designer’s notes, they discuss the previously announced decision to give Echo an extra drone, which they say is “to encourage him to take more risks with them throughout the round”. 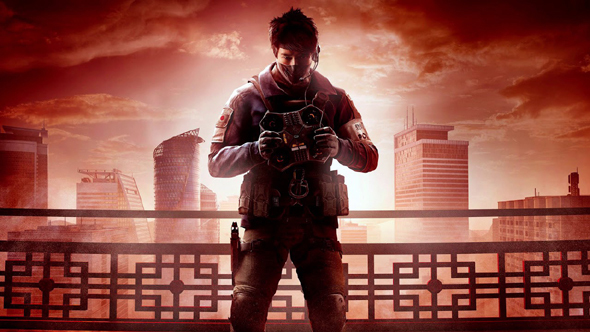 They aimed for Echo’s drone to be “an anchor that would be active throughout the whole round”, but players often don’t use it because they want to keep it alive until the last few seconds of a round, such as to interrupt someone defusing a bomb. They say this change couldn’t be implemented before due to the existing observation tool, which currently makes handling two drones difficult for players. The improved UI coming in the Para Bellum season will allow for much easier drone switching. Both Yokai drones will have their max charges reduced from 3 to 2, and recharge time between shots will be increased to 20 seconds. There will also be adjustments to Operator movement speeds, as the developers “noticed the trade-off between armor and speed is too skewed to higher speed”. After the update, three speed Operators will move slightly slower, one speed Operators slightly faster, and there will be a small increase to movement speed with handguns out. The intention behind this is to “make high armor Operators more viable”, although they do also note they think it’s “good for the health of the game to slow it down a bit”.